This cover was painted by R. Farrington Elwell, but it seems to me to be influenced by the great Charles M. Russell. ALL WESTERN was one of the top Western pulps and had good covers and authors. In this issue, there are stories by Eugene Cunningham, George Cory Franklin, S. Omar Barker, and J.E. Grinstead. Nearly all forgotten today, but top writers in their time. You are right about ALL WESTERN. 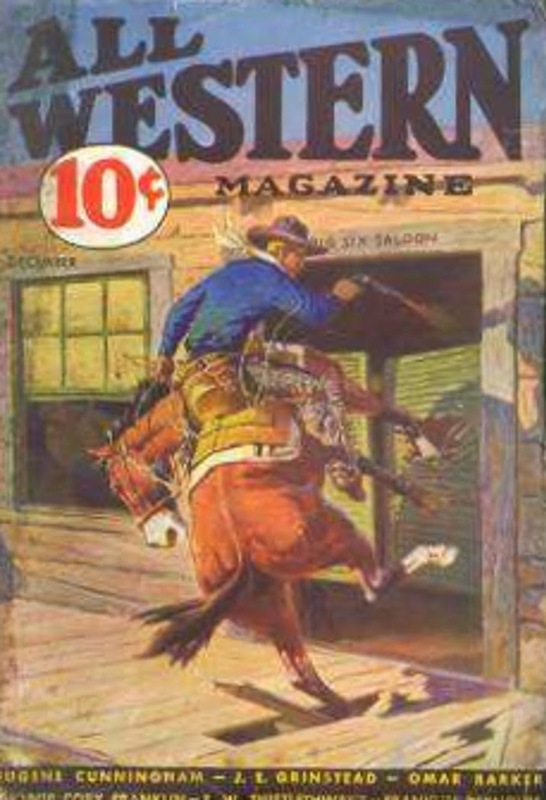 It was one of the better western pulps. Elwell did many covers for them but not too many for anyone else. This one is great.